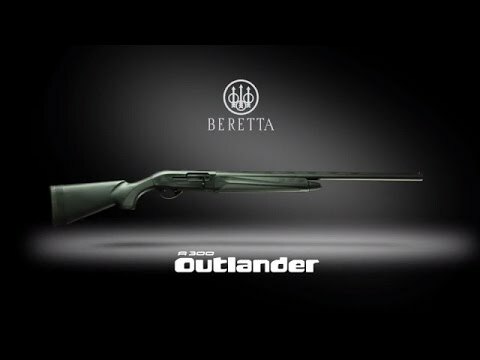 The A300 Outlander Synthetic gives shotgun hunters and shooters the possibility to trade up to a Beretta semiauto. A fantastic value for the money, the A300 offers all the features that have made the Beretta 300 line a favorite of millions of sportsmen around the world--with its legendary pointability, ease of use and maintenance, as well as absolute reliability. A versatile shotgun for upland birds, ducks, turkey (the receiver is grooved to accept optics) and sporting clays, the A300 is designed to outperform semiauto shotguns costing several times as much. This shotgun is the perfect embodiment of Beretta’s philosophy about maintenance: easy, quick and tool-free. The A300 Outlalander breaks down into four major components, making it simple to take apart and clean even under less-than-ideal field conditions. Also, the self-cleaning gas piston makes this shotgun shoot much cleaner than other actions, giving you more durability as well as less work keeping it in perfect shape even after a hard day at water’s edge. Overall, the A300 Outlander Synthetic is today’s best value in a synthetic semiauto shotgun, and a worthy heir to Beretta’s legendary 300 line. The A300 Outlander is also available in the following versions: the A300 Outlander Camo Max4 for waterfowling, the A300 Outlander Camo Max5 for upland and woodland hunting and the A300 Outlander in a wood-blue version. With a 3" chamber, the A300 Outlander gives you a tubular magazine with a 3+1 capacity. It feeds reliably any type of shells (mild or hot) up to 3". Easily modify the drop and cast of your A300 with the provided spacers, without any gunsmithing or modification to the shotgun. The safety control can be easily reversed by the user from right- to left-handed use. Easily carry your A300 over any kind of terrain thanks to the sling attachments. The Mobilchoke system enables you to adapt the pattern of your A300 to the hunting or shooting conditions of your choice. Like all Beretta shotguns, the A300 Outlander is sleek and low-profile, giving you ideal pointability and handling--as well as wonderful Beretta aesthetics. 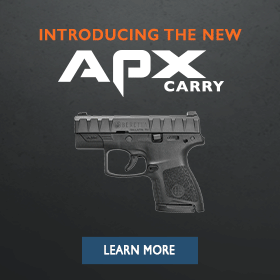 The provided spacers enable you to customize the length of pull and feel of your A300 to best suit your size and shooting style.